The Christmas lights have gone up. The festive parties are a plenty. The snow is….um…..non-existent with some of the highest temperatures Ontario has ever seen for December. In any event, it’s HOLIDAY time once again. Around this time, and in to the New Year, our lawyers get some strange, and some not so strange calls. This means that there are some common injury patterns we see, and other patterns which aren’t so common. Without further a due, here are Goldfinger Injury Lawyers’s top tips on keeping things safe for the Holiday and New Year season. DON’T DRINK AND DRIVE: Quite simply, alcohol and driving don’t mix. And that statement applies to any amount of alcohol consumed; even if it’s “just a couple of drinks” at a friend’s Holiday Gathering. We can tell you that R.I.D.E will be out in full force across Ontario; from London to Peterborough, to Toronto to Sudbury. Your local police force will be out there making sure people aren’t drinking and driving. If you play your cards right, you may even get a coupon from those friendly officers at R.I.D.E. I would also like to add that the term “driving” applies not only to cars, motorcycles or other vehicles. It also applies to bikes, E-Bikes, scooters. segways, etc. We get a lot of crazy calls of people riding anything with wheels (motorized or non-motorized) after having consumed a few too many drinks with catastrophic consequences. Drinking and driving is always a choice. Make the right one and arrive alive and in one piece. You’re not just putting your life at risk, but also the lives of other innocent people and their families at risk as well. No amount of money can ever properly compensate somebody for a loss of limb, a catastrophic brain injury, or the loss of a loved one. CRAZY CHRISTMAS LIGHT INJURIES: Our lawyers get a least TWO CALLS every holiday season of somebody on a ladder or roof, trying to put up Christmas lights and falling 20+ feet to the ground and sustaining serious injury. We have also received calls from accident victims who have sustained serious injury after a large Christmas structure was improperly installed, came loose and fell on them. Things to consider in these cases: If you’re setting up lights at your own home, you can’t sue yourself for your own negligence. If you don’t own the home, it’s a different story but it all depends on the facts of the case. Injuries in these cases are often secondary to the facts surrounding the fall, along with the ownership of the home or the insurance coverage behind the home or work project. Here is a quick tip: If you’re not a handy person, and you have a lot of work that needs to be done: HIRE A LICENSED AND INSURED PROFESSIONAL. They’re out there. And when you do hire these people, make sure they have proper insurance because you don’t want to the one responsible for any injuries on your property. WATCH YOUR KIDS: The Christmas party or family holiday party isn’t an excuse to take a day off from being a parent. Watch your kids and don’t assume that they’re “ok” because you’re surrounded by family and friends. We all know that kids at a certain age all try to find new and creative ways to “explore“; aka trying to find new and creative ways to harm themselves because it just looks like fun. Make sure that a responsible adult is watching the little ones at your family gathering to keep them out of trouble. There is an entire legal maxim of cases whereby personal injury lawyers have sued parents for failing to supervise, or to properly supervise their children and plead that this led to, or was a contributing factor to the accident/harm. SNOW TIRES: It may seem odd with the weather at the time of preparing this Toronto Injury Lawyer Blog Post at 14 degrees that snow tires are a must. The Holiday Time, and the New Year is a good reminder for those living in Ontario that winter is upon us, although it may not yet feel like it. Getting those snow tires installed is always a good idea, and a great way to kick off the new year. Even if it’s not snowing, snow tires are designed for increased traction in colder and more damp weather. CALL 911: If you see something suspicious in your neighborhood, don’t be afraid to pick up the phone and dial 911. Lot’s of people go away for the holidays. The wrong guys know this and take advantage of empty homes. Just because it’s the holidays, doesn’t mean that the police force has taken off for vacation. They’re around to keep you safe. We would also like to add that this just doesn’t apply to what you see on foot. If you see somebody swerving out of control on the roads, like they might be asleep or drunk at the wheel, let the police know about it so that they can take all appropriate measures. DON’T DROWZE AND DRIVE: Lots of people travel to see their families for the holidays. This may entail a long road trip behind the wheel on a seemingly empty highway. Don’t fall asleep at the wheel. Take breaks. Pull over to the side of the road if there isn’t a rest stop to take a break and relax. Falling asleep at the wheel puts your life at risk, the life of your passengers at risk, along with the lives of your fellow motorists at risk as well. Falling asleep at the wheel would also put you as responsible for the car accident, which is never a good thing. These are just some of the safety tips our lawyers have to share with you for the Holiday Season. 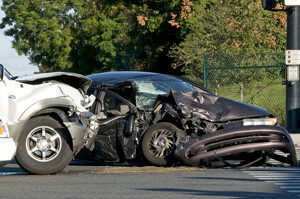 There are other safety tips available in the Archives section of the Toronto Injury Lawyer Blog. From all of us here at Goldfinger Injury Lawyers, we wish you and your families a happy, healthy, prosperous and safe Holiday Season and New Year.